The best thing about traveling to a new city is discovering it all your own. Every pair of eyes will see new cityscapes differently; every set of taste buds will experience the local cuisine uniquely; every person will feel different feelings when gazing out at a strange, faraway sunset. 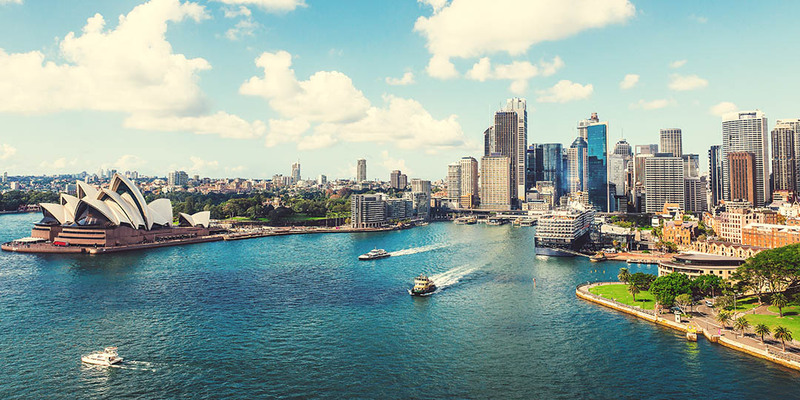 When you travel to any one of these capital cities in Australia, we recommend you try hard to unearth as many layers of it as you can. See more sights. Taste more local food. Experience more nightlife. Explore more beaches and mountains and rivers and oceans nearby. The deeper you dive the more you find out about yourself and the very culture you’re exploring. You begin to see all the multitudinous sides. The buildings and city centers and countryside that surround become more familiar to you as the days pass. They shed their mysterious veneer. Think of discovering a city as though you’re getting to know someone. Long after the pleasantries have passed, you may even persuade yourself to stay in one of these wondrous cities. Do you plan to take a locum tenens assignment in Australia? If you do we suspect you’ll be hard-pressed to peel yourself away from this great country once the time has come. Simply put, you’ll fall in love. Feel free to read part one of our two-part series examining the best restaurants, best bars and best pastimes in every single Australian capital city. Then come on back – because it’s time to round off the list for you with part two below. This consistently top-ranked restaurant hosts its kitchen smack-dab in the middle of the open-floor plan so you’ve got unrestricted views of all the madness and beauty that goes into making your elegant meal. As much as this place is about the ambience, people definitely come wolf-hungry for the food. The menu is rich with local produce, local meats and seafood and local wines and beers. Word of advice, book ahead. Conveniently enough some of the bars we’ve listed so far double as a restaurant (and vice versa) so if you’re looking to knock out two birds with one stone, then you’re in luck. Republic Bar just so happens to be a pub that serves up fine grub, too. This joint is a favorite among locals for its upscale seafood and BBQ menu, not to mention it has some of the best live music in town seven nights a week. This one was difficult. There are so many great pastimes in Hobart. We had to go with Salamanca Market. Every Saturday since 1972 this stretch of waterfront in Hobart is alive and bustling. The air is filled with ocean breezes, live music and fragrant foods. Plus the Georgian sandstone architecture is quite the sight. Best restaurant: Cutler & Co. Thus far we’ve tried to incorporate both fine-dining establishments as well as some more laid-back food joints. Cutler & Co. though falls into the former more so than the latter. Another open-kitchen design, this restaurant serves up the most elegantly prepared dishes you’ve ever seen like the beef short rib with native pepper, parsley and horseradish. They do have a more, relaxed sharing-style lunch menu every Sunday if that’s more your style. Known as the iconic waterfront pub of Melbourne, Riverland Bar skirts the Yarra River in the shadow of Princes Bridge. Of course you can hang inside with your brew but why would you do that if you have an entire outside patio (suitably dubbed the “beer garden”) with resplendent views to enjoy your drink of choice? Not far from the city center you’ll find St Kilda Esplanade. This palm-fringed stretch of sand and boardwalk is an eclectic wonderland complete with captivating views of Port Phillip. It’s quite often humming with both locals and tourists alike. You won’t be wanting for more while you’re visiting, either: there are markets, boutiques, restaurants, bars, rollercoasters, you name it. And of course, there’s immaculate coast as far as the eye can see. Alright, back to basics. Welcome to Alfred’s Kitchen, a real burger legend in Perth. This roadside joint has been around since 1946 so you know they’re serving up the real deal. And if you’re vegetarian, no worries, they even prepare a mean lentil burger that the locals say is to die for. For you meat-eaters out there, snag Alfred’s famous, original-recipe pea and ham soup. Are you looking for a more intimate atmosphere where you can share great drinks with new friends? You’re in luck. Frisk Small Bar offers just that. Though they specialize in gin cocktails they do serve up plenty of other choices. Okay, this one is a bit outside of town (12 miles off the coast, or about a 90-minute ferry ride) but we’re sure you’ll forgive us for not listing a best pastime directly in Perth once you step foot on this island – especially after you lay your eyes on a quokka. These tiny marsupials can be found throughout the island. Now on top of spying on these adorable creatures you can also explore coral reefs and shipwrecks, relax on one of over 60 beaches or just walk around with your camera for an entire day and take pictures of sublime ocean scenery. If you’re in Sydney you’re probably going to want to splurge a bit. (It might very well be Australia’s most iconic capital city.) There’s no better restaurant to do that at than Bennelong. Located right inside the Sydney Opera House, it’s been deemed the grandest of restaurants in the city. Where else can you marvel at one-of-a-kind architecture while having your taste buds blown away by crab ravioli? Nowhere, that’s where. Again, you’re in Sydney, you’re going to want to head to the best of the best. So head to The Lobo Plantation, a fine establishment that won Bar of the Year in 2015 by Time Out Magazine. Grab a local beer or your favorite cocktail and sprawl out with your friends in one of their mammoth-sized booths. We would’ve chosen a tour of the Sydney Opera House but since you’ll already be eating inside the architectural wonder with our restaurant recommendation we thought we’d give you the next best thing, a 360-degree view of the city with the BridgeClimb. That’s right, book one of these tours and you’ll be up close and personal with this modern marvel. Don’t worry, a guide will be with you the whole way and all safety measures are taken. Well that concludes our tour of Australia’s capital cities. Don’t forget to comment below with some of your favorite spots. All that’s left to do now is see what current physician jobs are available in Australia by clicking the big orange button below.